Yes, November is National Novel Writing Month (we seem to have a badge!) We are challenged–all of us, even you–to write an ENTIRE novel during the month. It doesn’t have to be a good novel. It’s written but not edited–just pure writing from the beginning to the end. I’ve challenged myself to do that. Leaped out of bed this morning, sat down at the computer. I have to confess, I did eat breakfast, drank coffee while petting the kitties, and checked email first but, after that, I started writing. then I decided I liked the other story better and wrote a few lines on that. Then I went to the post office and came home for a nap. All in all, I accomlished very little but I wrote a few sentences which makes me happy. But, in the midst of all the excitement and challenge, I forgot about the blog! So, here it is. If you want to write a novel, try NaNoWriMo. 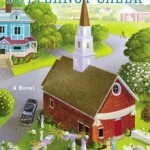 THE WEDDING PLANNERS OF BUTTERNUT CREEK comes out Tuesday. Release day of a novel NEVER gets old. I’m filled with fear–what if everyone hates it? What if my editor tells me they are not paying me the rest of the advance because it’s so bad? What if my writing friends star throwing books at me? On the other hand, what if people do like Hannah’s romance and Adam’s wedding? Writing is a risk and a gamble. And RT said, “”An utter delight.” That means something, right? I’ll be blogging several times–guess blogging–next week. I’ll put a link on this blog so you can visit them. Would you please hold my hand until Tuesdady? I would appreicat that. A “there,there” and a soft pat-pat would also be appreciated. Do good people ever use bad words? 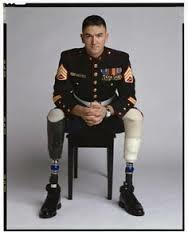 In emails and reviews, I’ve been excoriated because one of my characters uses “bad words” Sam’s an alcoholic Marine amputee suffering from PTSD and mourning the death of his best friend in combat. At the beginning of THE WELCOME COMMITTEE OF BUTTERNUT CREEK, Sam’s having a bad time. 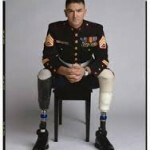 First, he’s under fire in Afghanistan and shouts, “Where the hell are the . .” I’m going to confess, if I’m taking fire and there isn’t any suppressing fire coming in, I’d get a little anxious. I may be tempted to curse. Tempted, nothing, I’d probably let go with a string of words I never use normally. I thought Sam showed great patience. However, several of my readers didn’t. One lady wrote me a long email about how Christians never used those terrible words. Then she pointed out the words that Sam used on page. 28 and page 49 and page 126. I got the feeling she didn’t read the book. She just looked for the bad words. That breaks my heart because I think she’d have enjoyed the material that came between the three really not horrible words. I think she might have been inspired if she’d read the book. 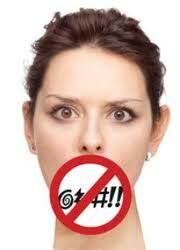 Although I’d never use the F-bomb in any of my books, surely there are characters who would. I mean, a serial murder probably isn’t going so say, “Oh, shaving cream” when the man he’s supposed to kill get the drop on him. There are characters like Al Capone and Scarface that probably used words I’d never think of saying or writing because they ran with a pretty tough set. My only big problem is when the worst of the four-letter words are used in place of good writing, that’s just laziness. So, what’s your opinion. Sam’s not a Christian yet. Should he be judged for using an occasional curse? Do Christians sometimes say “heck” or “darn” or even worse words? Is that all right or not? If you’ve read my novels have you been ashamed that I used a few curses? I’d love to know your opinion. The Romance Writers conference is in July. Because I’m a RITA finalist, I have to come up with something to wear. Looking in my closet, I realize my wardrobe consists of jeans and knit tops, many with Cardinals or Power Cats on them. I once had a pretty, flouncy dress. I wore it in 1999 when I was a Golden Heart finalist and in 2004 when I was a presenter during the awards ceremony. This spring as I cleared out closets, I thought, “I’ll never wear this again because ‘fancy’ doesn’t fit my life style.” Some lucky woman bought it at Good Will and I’m out looking to replace it. The search has been distressing but had it’s moments of fun. I tried on a lovely black sequined dress which did not look like me. As I left the dressing room, I ran into Tracy Wolff–one of my favorite writing friends–and had such a great conversation that people came over and said we sounded as if we were having fun. I’ve been pondering if they really meant, “You’re too loud.” She got some great and very bright clothes. I got a pair of jeans. A few days later, I went to lunch with the beautiful and talented Katie Graykowski who offered me a couple of her fancy outfits. Thanks, Katie! Katie is gorgeous. She’d look great in red velvet but it’s just not me. Then I had an idea! I had a black top with black beads around the top in my dresser. I’d never worn it because, yes, it’s fancier than I am. Sadly, that shirt had been ignored for so long that one-third of the beads had fallen off. How would you describe yourself? Are you fancy or comfortable or do you just not care? I sat down this morning to complete the blog post I’d started for today–and received a call that The Welcome Committee of Butternut Creek is a RITA finalist. For those of you who aren’t members of Romance Writers of America, the RITA is an award for the best books for 2012. It’s a wonderful honor that I’ve dreamed about getting for years and years and years as has every romance writer. That call completely blew my plans for the morning. I’ll have something up Friday when I can regain my poise and settle down in a chair. Readers often ask, “Where do your ideas come from?” Today I’m guest blogging at Infinite Characters about how Adam Jordan came to live. Hope you’ll drop by. And you can sign up for a drawing for a free book! You Could Win a Book! I’m guest blogging today with Margaret Dailey. This is an interview with Gussie Milton. Please join me. You COULD win a book! THE MATCHMAKERS OF BUTTERNUT CREEK is out today! THE MATCHMAKERS OF BUTTERNUT CREEK, the second book in the Tales from Butternut Creek series, is out today! This is my ninth published book. Arriving at this point has not been easy. To celebrate, I’m guesting on Janet Wrenn’s blog about how long and hard the journey was. Over and over, I’ve been told, “Write what you know.” I’ve never agreed. If authors stuck to writing what they knew, no historicals would be in print because the author wasn’t alive to witness those events. Agatha Christie would never had written her mysteries because, as far as we know, she never killed anyone. I wrote two historicals that took place in Regency England in 1812 and another that took place in Texas 120 years ago. Had to do a lot of research to do that. 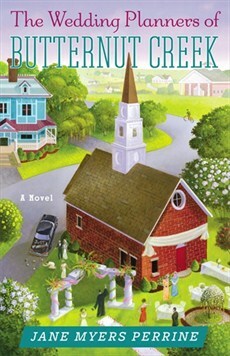 Then I started writing the Tales from Butternut Creek series and realized I was writing exactly what I knew: a minister in a small town church. The Palm Sunday donkey running away with his rider? I was one of the group that grabbed the animal before he could toss the boy off. A minister’s fear of counseling a member of the congregation? Been there and survived and the woman I counseled did as well. The group of women who run the church? I’ve met them in every church either my husband or I have served and readers tell me they know a Miss Birdie. All the stories, all the embarrassing and funny situations we lived came together in these books and I’ve had such a great time writing them. Sometimes the memories make me laugh. But members of a congregation suffer, too, and I cried with them. Those hard times made the books, too. Of course, I didn’t live through or actually witness everything I wrote. We never lived in a huge Victorian parsonage but I’ve always wanted to—if I didn’t have to do the housework. And I expanded on some of the scenes. In Butternut Creek, the donkey took off down the highway with the kid hanging on his back. In reality, he ran only ten yards although I imagine the boy riding him thought it last far longer. Have you had an experience you think should be in a book? I’d love for you to share.